Look at the beautiful pictures of these awesome species below. The weight of heaviest loggerhead sea turtle was measured to be about 1000 pounds. The younger ones have magnetic irons in their brain that helps them in navigating. Some of these species live up to 100 years!! The fats of these species are used for preparing cosmetics. The temperature determines the gender of the species at birth. If the temperature is 28 degrees Celsius then the resultant offspring is male .The baby is female if the temperature is 29.5 degrees. These species are populous along the coast of USA. They have been living on this earth for the past 100 years or so. These species largely inhabit the parts of the Pacific, the Indian Ocean and the Mediterranean Coast. 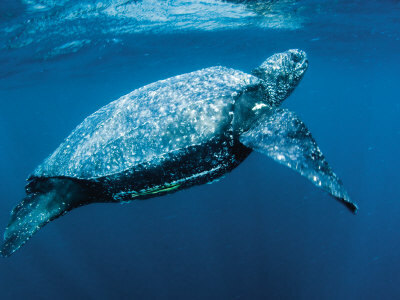 In the parts of Atlantic Ocean, they dwell along the coasts of North America & Gulf of Mexico. One can also spot them along the regions of Arabian Sea and Arabian Peninsula. 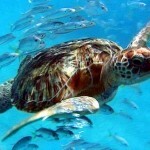 Western Australia is also one of the favorite places for nesting of these turtles. These species can also be sparsely found in the parts of Japan & Eastern Australia etc. 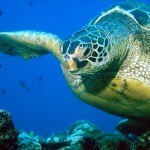 Size of Loggerhead Sea Turtle: The length of an adult Loggerhead ranges between 2.5 to 3.5 feet. 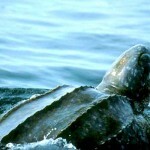 Weight of Loggerhead Sea Turtle: The weight of the adult varies between 155 to 375 pounds. 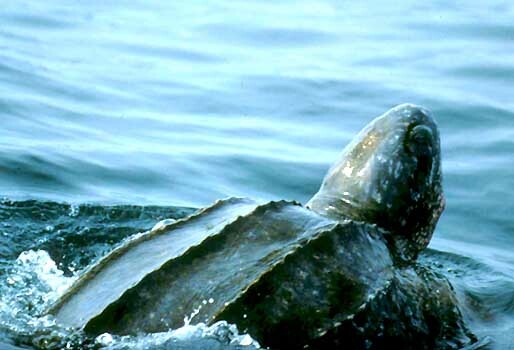 Carapace of Loggerhead Sea Turtle: The adults bear a reddish brown colored shell. The shell resembles the shape of a heart. Moreover, the shell is devoid of ridges and is very hard. The lower portion of their bodies is often found in yellowish brown color. The younger ones adorn dark brown colored shells. 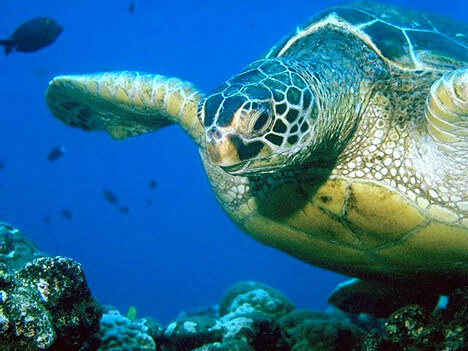 Flippers of Loggerhead Sea Turtle: These species consist of thick and short flippers. Usually they have 2 claws. These species have very strong jaws that enable to feed on tough shell victims. They usually feed on Jellyfish, Crab, fish, shrimp etc. One could identify these species along the shallow coastal areas. They have a habit of moving long distance away from the sea. 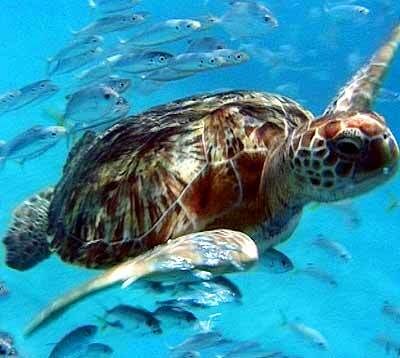 The loggerhead survives well in a temperature of about 13.3 to 28 degree Celsius. The juvenile ones prefer to dwell on the sargassum. The non-nesting elder ones like to dwell in the seawater while the younger ones can be spotted along the estuarine of the coast. Below are some of the listed important predators of loggerhead. Some of their body adaptations enable these species to survive in the seawater. One of the unique adaptations is the forelimbs and the flippers that help them to swim across the water. One might observe that the necks cannot be drawn back. These species can survive in seawater without having fresh water for long. They derive such water extracts from the food itself. These species prefer to plunge deep into the sea .The lungs of loggerhead sea turtles are arranged in such a way that helps them to exchange oxygen and prevent the entry of other gases within their body. These species attain the mating age between 7 to 35 years. Once the mating starts, it continues for 6 weeks. Ovulation results from mating. The male counterpart fertilizes the egg. This type of mating is really outstanding and unique as compared to other mammals. It is interesting to note that before having the actual mating, the males do compete against each other for one particular female. Eventually the winner gets its desired partner. Before the mating, the male intends to climb on the females. Even at the final mating the other males too attack the female. In the process, sometimes the females may get extremely injured. Each clutter consists of 4 eggs. After the first reproduction, the females cannot produce for 2 to 3 years. The off springs come out to be light brown or black color. It is also noticed that the period of incubation lasts for 80 days. It is sad that these beautiful species are enlisted in the category of threatened. Their lives are at stake because they are used for several purposes. Moreover, these species are frequently caught in the fishing net. The human habitation along the coast has really disgusted their lives. Ocean pollution also creates lots of problem. It is a strong advice to all readers not to throw any kind of plastic bags in the ocean as it creates lots of pollution that hampers the lives of these species. 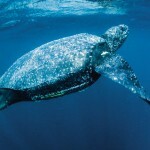 According to the reports of IUCN, the lives of these species are really in danger.